Serenity is designed to give a peaceful and tranquil feel. 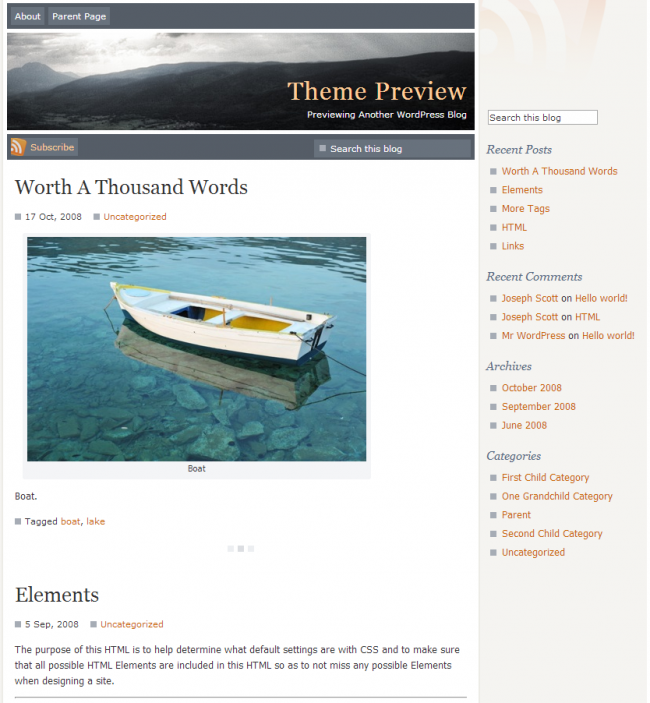 This light square based white theme has been and continues to be used by many WordPress sites all over the world. Ed Young is committed to reaching the next generation. Every aspect of his teaching, from age appropriate material, connection time with other students, or laying the groundwork for students to have a servant’s heart, he is committed to helping students become empowered and equipped to lead a life of purpose. This principle helps students make a difference in their world through the church, reaching the full potential God has for their lives. Leading students starts with Christ, and Ed’s relevant teaching will help them become ready to lead their next generation. Talking about insurance in the 21st century! This website provides articles about insurance on topics including: What can you do if your car was hit while it was parked? 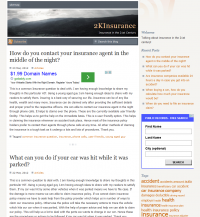 Are insurance companies available 24 hours a day in case you get into an accident? When buying a car, how do you calculate how much your insurance would be? When do you need to file an insurance claim? And many more…you can see how the two column light layout uses the space very well. 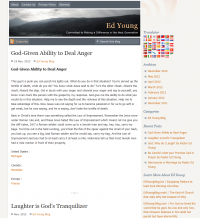 With the blog posts on one side and a side menu including: recent posts, ads, tags & more topics.